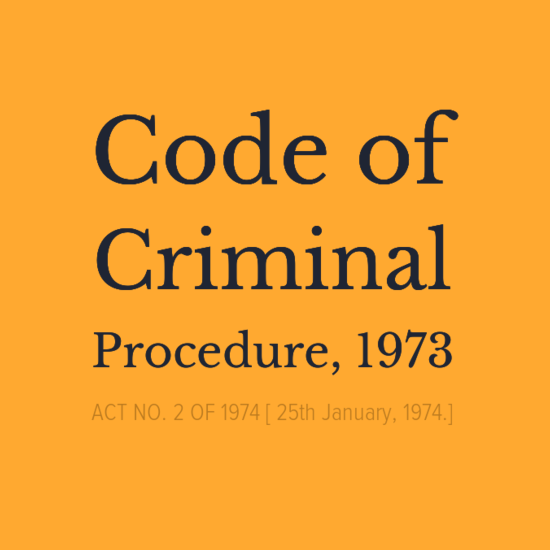 Criminal Procedure Code – Power to summon material witness, or examine person present - Plea of victim that on the earlier occasion he turned hostile under coercion and threat meted out to him at the instance of accused, cannot be a ground for recalling and re-examine. Plea of victim that on the earlier occasion he turned hostile under coercion and threat meted out to him at the instance of accused, cannot be a ground for recalling her and re-examine her; as already noted that she was identified by her husband and one PW Dr. Jotishima at the time of recording of her previous statement before court below. 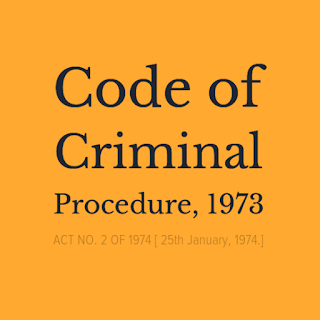 At the time of her evidence in Court or subsequent to her evidence she never made any complaint to the court or any police officer that accused persons had yielded any pressure upon her to turn hostile to the prosecution and to give a go by to the prosecution case. When there is no ambiguity in previous statement or nothing to explain, to put question in re-examination the witness cannot be recalled or re-examined. The sole object of witness to give change to the version already given in the Court is not the object of Section 540 Cr.P.C. The re-trial cannot be asked under the provisions of Section 540 Cr.P.C. Bare perusal of this section, it is evident that it consists of two parts. First part gives discretionary power to court in summoning any person as a witness, or examine any person in attendance, though not summoned as a witness, or recall and re-examine any person already examined. Second part of section is mandatory and it cast a duty upon the court to call and examine or recall and re-examine any such person if his evidence appears to it essential to the just decision of the case. Therefore, the paramount requirement is just decision and for that purpose the essentiality of a person to be recalled and re-examined has to be ascertained. To put it differently, while such a widest power is invested with the Court, it is needless to state that exercise of such power should be made judicially and also with extreme care and caution. Masoom Hussain Shah Vs. State and ors. Appearing counsel: For Petitioner(s) : Mr. B.S. Salathia, Sr. Advocate with Mr. Sarfraz Shah, Advocate. For respondent (s) : Mr. Amit Gupta, Dy. AG. 2. The factual matrix of the case is that a false and frivolous FIR was lodged against the petitioner in Police Station Janipur, Jammu on 01-12-2011 under Section 376, 452 and 323 RPC and thereafter, the Challan was presented before the Court on 23rd of January, 2012, charges were framed on 23rd of January, 2012. After framing of charges, the Learned Court below fixed the calendar date for recording the statement of the prosecutrix. From the date of framing of charges till the date of recording the statement of the prosecutrix, more than 21 dates were fixed by the learned Court below. Finally, on 26th of May, 2012, the prosecutrix fairly made the statement before the Court under Section 164 Cr.P.C in Camera and out rightly denied the allegations and charges framed against the accused. The prosecutrix was declared hostile and she was also later on cross-examined by the learned Public Prosecutor. In the cross-examination, she fairly stated that the petitioner has neither committed any offence nor she knows the petitioner. After period of two months, the prosecutrix moved an application through Public Prosecutor under Section 540 Cr.P.C. The application was strongly opposed by the petitioner by way of objections and also on the basis of record annexed. iv) That on 25th of May, 2012 the prosecutrix in her full senses approached the Court and openly stated before the Court that she has been threatened by her husband to make any statement before the Court, as such the prosecutrix seeks kind indulgence of this Hon'ble Court to provide her protection so that she made a fair statement before the Court. v) That the Court below entertained the application of prosecutrix and directed the learned Chief Judicial Magistrate to provide security to prosecutrix so that she gave fair statement before the Court without any pressure, force, or coercion. On 25th May, 2012 by the order of Chief Judicial Magistrate, Jammu, prosecutrix was sent to women shelter house, namely, Neha Ghar at Kachi Chawni with the directive of Officer Incharge thereof to make arrangement of safe stay of the applicant on 25.05.2012. On 25.05.2012, respondent No.3 was directed to make safe travel of the petitioner before the Hon'ble Court of Learned Principal District and Sessions Judge, Jammu to Neha Ghar and further for her safe travel from said place to the Court of Session for recording her evidence on 26-05-2012. It is pertinent to mention here that she remained there in the safe custody of Court and thereafter, Neha Ghar and till the time of custody, she was neither allowed to meet any person nor was she allowed to go outside. In such peculiar circumstances, the grounds taken by the Public Prosecutor in the application under Section 540 Cr.P.C that the prosecutrix was under the influence of drugs is totally wrong and is concocted. Copy of the order of Learned Chief Judicial Magistrate, Jammu is enclosed herewith and marked as Annexure. 'G'. b) The exercise of the widest discretionary power under Section 311 Cr.P.C. should ensure that the judgment should not be rendered on inchoate, inconclusive speculative presentation of facts, as thereby the ends of justice would be defeated. c) If evidence of any witness appears to the Court to be essential to the just decision of the case, it is the power of the Court to summon and examine or recall and re-examine any such person. f) The wide discretionary power should be exercised judiciously and not arbitrarily. g) The Court must satisfy itself that it was in every respect essential to examine such a witness or to recall him for further examination in order to arrive at a just decision of the case. h) The object of Section 311 Cr.P.C. simultaneously imposes a duty on the Court to determine the truth and to render a just decision. i) The Court arrives at the conclusion that additional evidence is necessary, not because it would be impossible to pronounce the judgment without it, but because there would be a failure of justice without such evidence being considered.